In the ongoing dispute between Apple and Samsung in their high-profile court case, the Cupertino-based firm has dug up some interesting information on a patent deal it pitched to its rival a few years ago. Apple revealed a document which details a licence agreement it was prepared to offer Samsung, giving the Korean firm access to some of its key patents in return for some rather healthy royalty payments. The document states that Apple would receive $30 (around £20) for every Android, Bada or Windows Phone is sold, while the Korean firm would have to fork out $40 (around £25) for each touchscreen tablet it shifted. 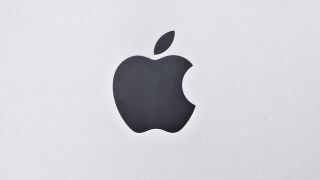 Apple was prepared to offer Samsung a 20 percent discount of the royalty fees if the Korean firm agreed to cross licence some of its patents back to the iPad manfuctuarer. Unfortunately for Apple, Samsung didn't see the worth in the deal and declined the offer – possibly a smart move as it would have cost the firm $250 million (around £160 million) in 2010 alone. So where does this leave us in the eternal battle between Apple and Samsung? Well, at the moment not really any closer to the end of the dispute – but Apple now has proof that it proactively offered Samsung a patent deal, so in the game of one-upmanship, Apple has another point on the board.